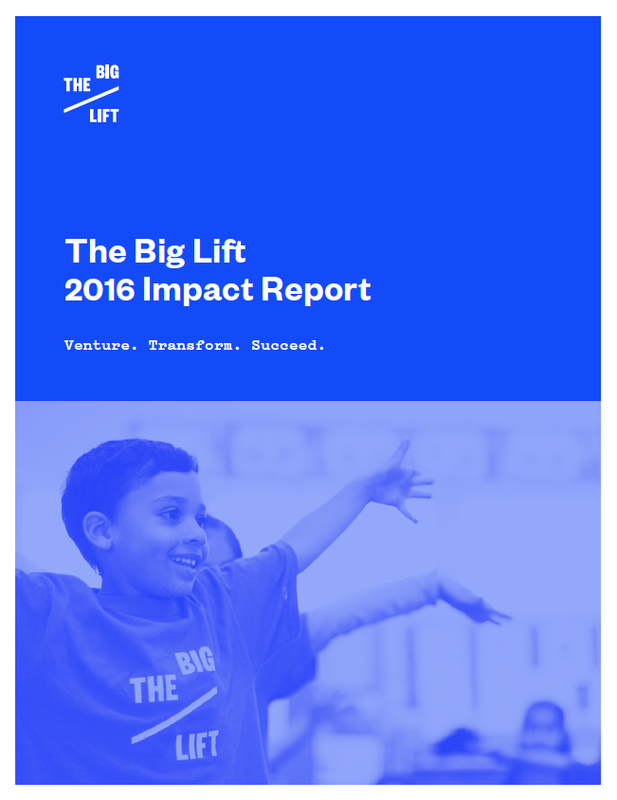 We are excited to share this report of The Big Lift's impact in 2016! Though we are just getting started, we are already beginning to see Big Lift kids who are more ready for kindergarten than similar low-income children who did not participate in the program. And our kids are actually gaining ground on reading in the summer, instead of experiencing the typical two-month summer slide. No wonder The Big Lift is seen as a promising national model by early learning experts from around the country. Founded by the County of San Mateo, the San Mateo County Office of Education, and the Silicon Valley Community Foundation in the mid 1990s, the Peninsula Partnership Leadership Council (PPLC) developed a Children’s Bill of Rights for San Mateo County that was adopted statewide in 2009. The PPLC decided that the most important element of the Bill of Rights was addressing the achievement gap. After extensive study, the PPLC launched the Big Lift initiative to address third grade reading as the most important inflection point for children’s success. In 2012, the PPLC included about 30 organizations and was funded by the three lead organizations. We developed a strategic plan and an overarching vision goal of getting 80% of San Mateo County children reading proficiently by third grade, but decided we wanted to know if the county would support this goal before we went further. In 2013, we developed a presentation, researched the top 200 leaders across all sectors, and invited them to a convening. 120 county leaders came and all expressed support for the goal. Two weeks later, the San Mateo County Board of Supervisors approved $10 million to get us started. We developed and convened work groups to research best practices and create action plans for each of our interventions. In 2014, we grew the collaborative to over 150 organizations and 250 county leaders, won grants from Kellogg, the Silicon Valley Social Venture Fund (SV2) and the Social Innovation Fund, bringing in over $17 million in funding. In 2015, we held a public launch event, funded our first four communities, launched our web site and social media, and won our first major grant from a Silicon Valley high tech leader, Google. Our collaborative has grown to 300 organizations and 450 county leaders. We garnered close to $6 million in new funding this year and completed our second strategic plan.